National Accountability Ordinance's (NAO) plea bargain provision came under fire in the Supreme Court (SC) on Wednesday with the court saying that it cannot look the other way while the plea bargain and voluntary return practices continue. The SC bench headed by Justice Gulzar Ahmed was hearing the case that had begun on a suo moto notice. Last year, the SC had ruled that the authority of the National Accountability Bureau (NAB) chairman to accept offer of voluntary return of the illegally earned money by corrupt public servants is prima facie in conflict with provisions of the Constitution. It had then sent the matter to the Chief Justice of Pakistan, requesting the issue to be treated under suo moto provision. Justice Gulzar Ahmed on Wednesday said that the issue relates to NAO's section 25 and asked the Attorney General (AG) Ashtar Ausaf the difference between a plea bargain and voluntary return. Under Section 25 of the NAO, the NAB chairman, with the approval of any accountability court, can order the release of an accused found guilty of corruption after he/she enters into a plea bargain or an agreement by returning the misappropriated money to the Bureau. Justice Azmat Saeed commented that the outcomes of the two [plea bargain and voluntary return] were different. He said that voluntary return of money is actually a confession of the crime; however, the accountability laws relating to it change its nature from being a crime to a case of good intentions. When an inquiry begins, NAB chairman writes to the accused, asking him to return the money, Justice Saeed said, and the accused is offered a scheme "which allows him to continue earning [illegally] and keep returning the money earned [to NAB]." He added that chairman NAB has been given limitless powers when it comes to a plea bargain. 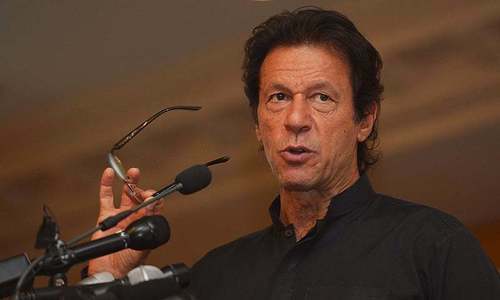 He pointed out the duplicity in NAB law and conduct, saying that while the Bureau says a case concerning Rs75 million is a minor one, a person convicted in Rs1m case is imprisoned. "Is there anyone who can defend this law?" Justice Saeed asked. "We cannot keep our eyes closed in this situation." 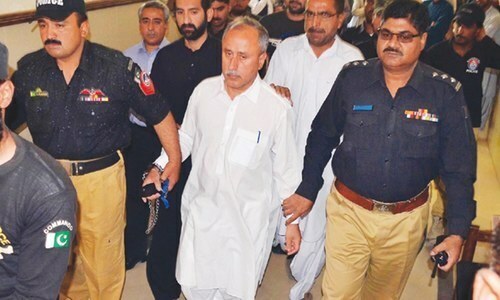 "An accused of Rs5m [worth corruption] is freed after giving Rs15,000 [to NAB]," he said. The court was informed that the federation does not support the plea bargain and the bill to change it is pending in the Senate. The court asked the attorney general to submit a written reply. The AG responded that he will inform the court regarding legislation on the issue in his written statement. Seeking replies from advocate general Islamabad and the provincial government, the court adjourned the hearing until November 9. While speaking to journalists after the hearing, the AG said that the government is working on bringing amendments, adding that personally, he was in favour of the plea bargain. Tricks of the trade: You collect bribes worth say ten millions rupees in one year. You invest it in land. After five years the price of that piece land has gone up to one hundred million rupees. You are enquired by the anti graft agencies for three years. In the meantime the price of your land has further gone up to one hundred and fifty million rupees. You plea bargain to return the amount taken as bribes fully and return the ten million rupees and spend another ten million to pave the way out. So you are left with only one hundred and thirty million rupees to buy a ticket to a safe location outside your country if you want to move out. Every one is happy. All's well that ends well. Plea bargain is best option provided it is implemented as per its original spirit i.e. recovery of the looted money as well as disqualification of holding any public office. That is not a true picture of the law if implemented correctly. The looter has to return all looted money, plus all unexplained assets, plus plea bargain is conviction and not acquittal. Unfortunately it is not being implemented in true spirit. It seems some steal 1000, if caught, plea bargain to pay back 100 than go back to stealing again. What a joke. @Shaukat Ali Khan Sir, do u mean that those involved in plea bargain have not been disqualified or termiated. Now that is a voilation nd voluntary return candidates r suffering due to this. People deposited voluntary as small sums f money were involved. Plus didnt want to go through courts nd hiring advocates nd pay high fees. Moreover nao 1999, which is part of constitution nd is still in force protected vr candidates. Around 4000 servants r suffering along with their families now in this suo moto case. If nab directs me to aubmit 30000 pkr. If not i moght get arrested for a month or i will hire an advocate for several lacs. 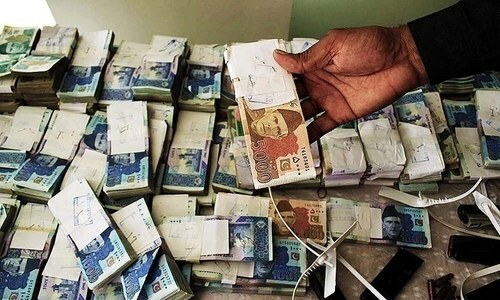 Why shudnt i deposit 30000 pkr as law alrady protects me. In the above mentioned case, all r vr holders. Supreme court is clearly crossing their jurisdiction as they cant disobey constitution nd this law is part of constitution. They can ask for ammendments which tbey have. Law may be ammended nd implemented with effect from now. Not from 2001.